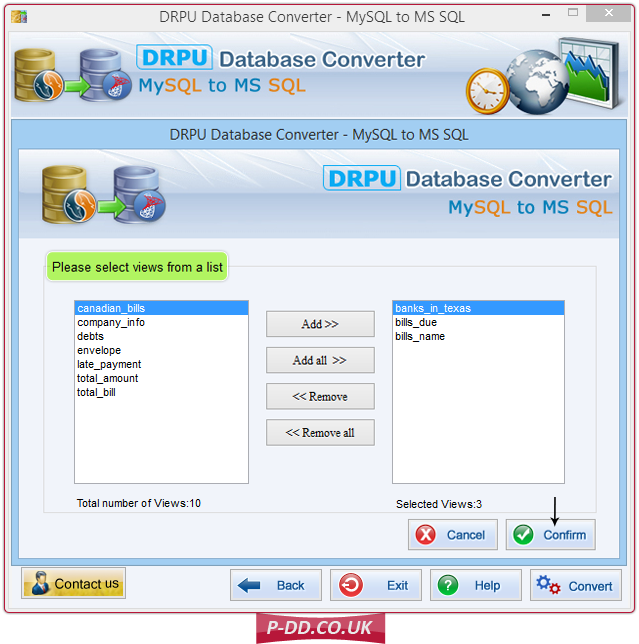 Run Database Software and establish connection with MySQL server and MS SQL server. 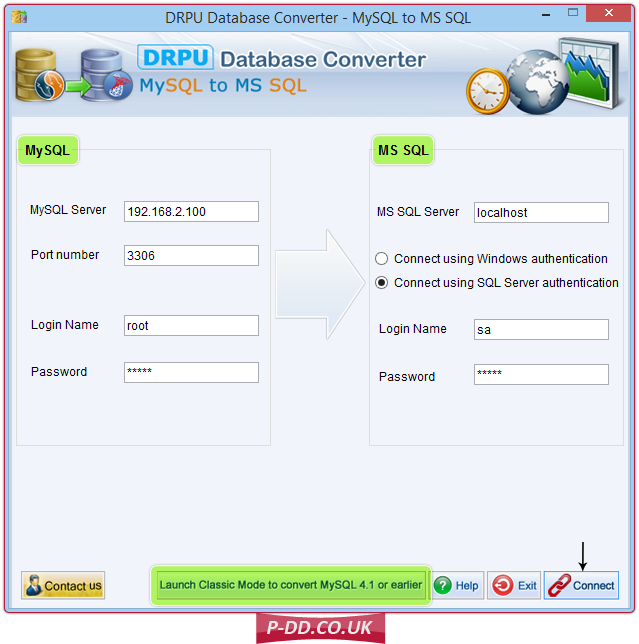 You can choose either local server or remote server to connect with MS SQL Server using Windows authentication or SQL Server authentication. 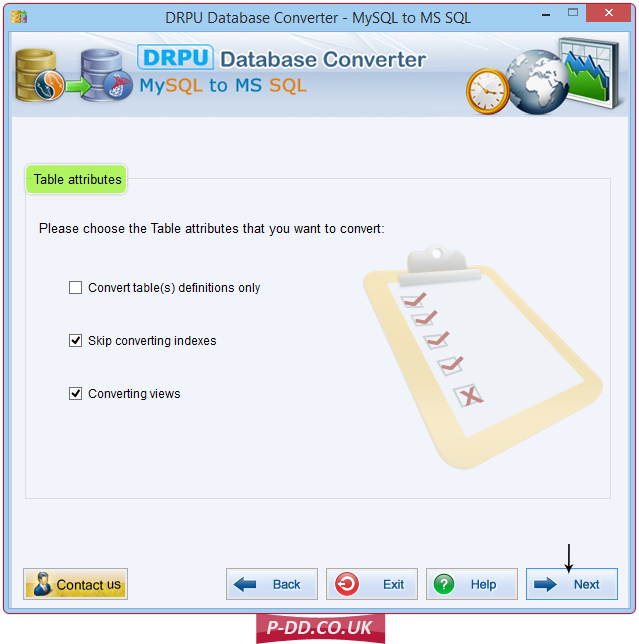 Choose table attributes to convert into MS SQL database. 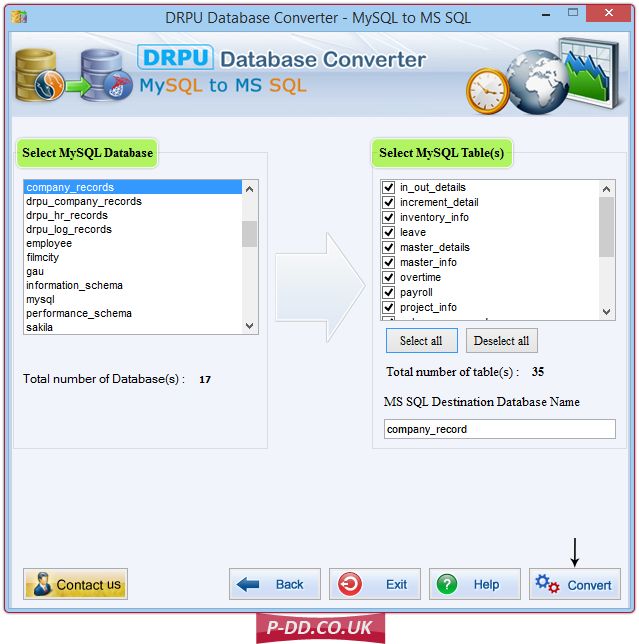 Select MySQL database with related table(s) to convert into MS SQL database. From above screen, choose views from left panel and add on right panel to convert it. 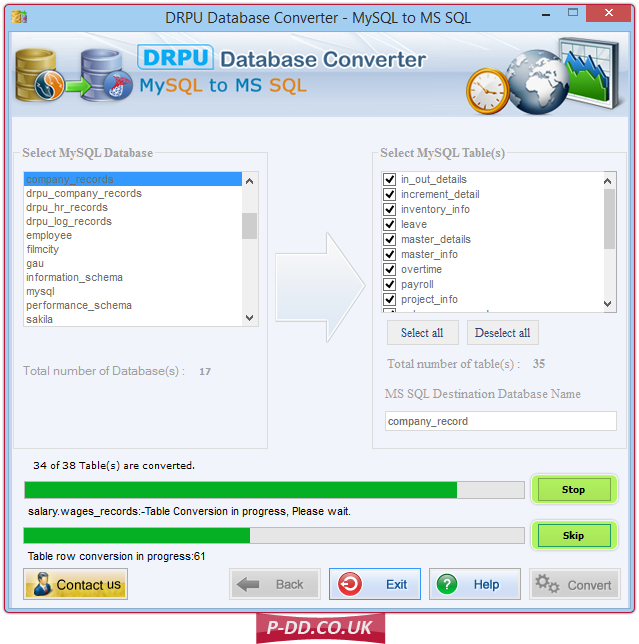 Database conversion in progress, wait until finish the process. You can interrupt the ongoing Database conversion process, click on Stop button. If you want to skip any particular table then you can use Skip button. 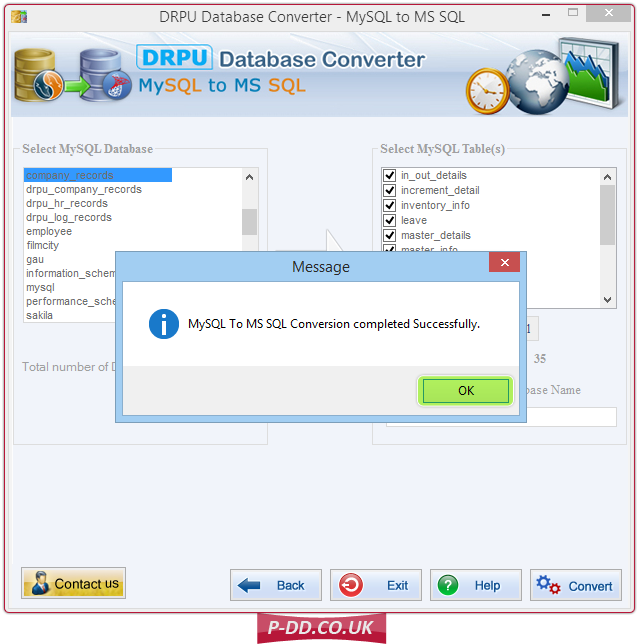 MySQL to MS SQL Conversion completed successfully.